Today’s car is a report on a recent sale of 1991 Ferrari 348ts. It went on eBay for just under $33k. That’s a heck of a deal on one of the most bang for the buck Ferraris you can own. The 348 put out 300 hp and put up 0 to 60 mph times in the low 5 second range. These are great cars to own (I owned one for nearly 2 years) and make a great first Ferrari. THE CONDITION IS ABSOLUTELY MINT!!! The paint and the body are shiny and in great condition. Interior is in Great shape, with almost no wear. Exterior is in good condition. There is on small blemish on the edge of drivers door please refer to the picture. Rims and tires are in great condtion. Everything works AC, CD Player, the vehicle drives and shifts perfect. All suspension is operating as it should. Also there is a small oil leak trips about quarter size in a week. All pictures are recent. The previous owner took excellent care of this Ferrari, and it shows! Tires (front 70%) (back 70%), non-smoker. If you’ve ever thought about a Ferrari, you should keep your eye on the 348. They’re great cars to own and a heck of a lot of fun to drive. Still more Ferrari 360s for sale on the cheap. If you’re looking for a bargain Ferrari, these are great times for you! Today is a 2000 Ferrari 360. It’s red with what looks to be tan interior. It’s a Euro spec car with 23k kilometers on the odo. Lots of people will shy away from Euro spec cars, but that is primarily out of ignorance. As long as they have gone through a proper federalization process and have proper paperwork, there’s not much to worry about. You are bidding on a beautiful condition manual trans euro 360, 23000 kilometers, just had major service no issues everything works as it should. vin number is ZFFYR51B000116826. Current auction price is $59,900 with NO reserve! A heck of a bargain for a Ferrari 360. 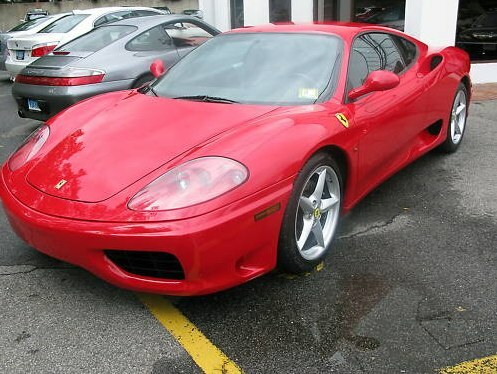 Here’s a link to the auction: 2000 Ferrari 360 . 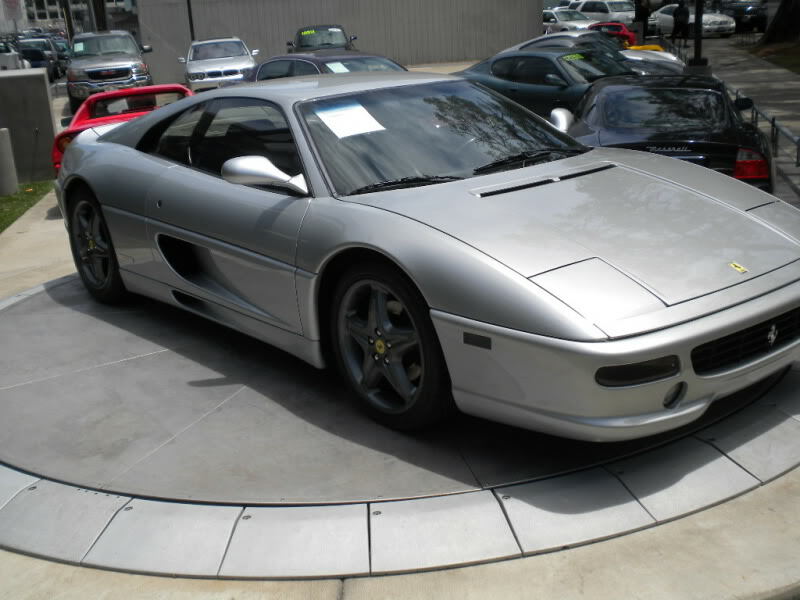 This is a heck of a deal on a 1996 Ferrari 355 Berlinetta. It’s got just over 21k miles on it. Black with a cool Tobacco colored leather interior. It’s a rebuild from a salvage title, but again, another great car you could just drive and enjoy. And at under $30k, is one heck of a bargain. 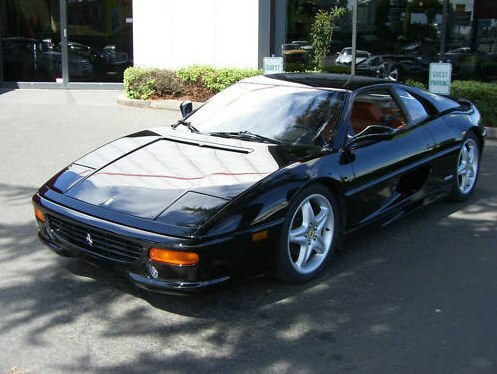 This is an impressively beautiful 1996 F355 Berlinetta, Black with Tabacco leather, 21,700 miles. It has a rebuilt salvage title from 1997, because some rock & roll musician bought it and wrecked it. The insurance company just called it salvage so the guy could go buy a new car, but the damage wasn’t severe. No frame damage. No mechanical damage. All superficial. Then, a Rolex Sports Car Series race driver bought it and had it rebuilt by his crew, WITH ALL NEW FERRARI PARTS. He even got new heads to insure against valve guide problems (inherent in the earliest models). I bought it 5 years ago, because I thought it was a great opportunity to fulfill my dream of having a true exotic high-performance Ferrari, at fraction of the cost of the garage queen collector car ones. And WOW, I got all and more of what I had hoped for. I’ve had it inspected by two different Ferrari dealers to search for any signs of residual accident damage, but neither could find any issues whatsoever. Neither dealers’ service departments could even find where the original damage was! I had the 30K mile service done in 2007, but aside from that it’s been absolutely trouble free. Change the oil once a year and enjoy it the rest. More reliable than a Honda, yet the technology of this car still surpasses the best family cars and sport sedans of today. Even the clock keeps near perfect time. It drives and runs perfectly. It has the power and sound which should be expected in a Ferrari. With the power steering, it’s easy to drive on the streets and the track. When it revs near the 8500 rpm red line, it’s sound is intoxicating and musical. It’s a truly exciting and beautiful car, with only the slightest of small imperfections to the finish, which are almost imperceptible. A thrill and a pleasure to drive, and a fantastic bargain for someone who wants to own a Ferrari to DRIVE, instead of just COLLECT. It’s not a garage queen, but a great car for the enjoyment of driving and owning a Ferrari and experiencing it’s real talents and pedigree on track day….just like it was designed and built to do. Current auction price is only $29,900. Here’s a link to the auction page if you want to view more: Ferrari 355 Berlinetta . I can’t believe how many deals there are out there. This time it’s a 1999 Ferrari 355 Spyder. It’s got a salvage title, but at the price it’s being offered at, who cares?! This is a car that could definitely be driven and enjoyed without the worry about mileage decreasing the value by much. It’s a convertible with silver exterior and black interior. Decent looking wheels, although I’m not in love with them. Right at 28k miles on it. IT WAS REBOUGHT BY PREVIOUS OWNER FROM INSURANCE CO. WHICH REPLACED STOLEN ITEMS. It’s currently at $16,100 with about 6 days left. Buy It Now is only $27,000. Even if you had to put some work into this one, you could be in a heck of a Ferrari for under $30k! 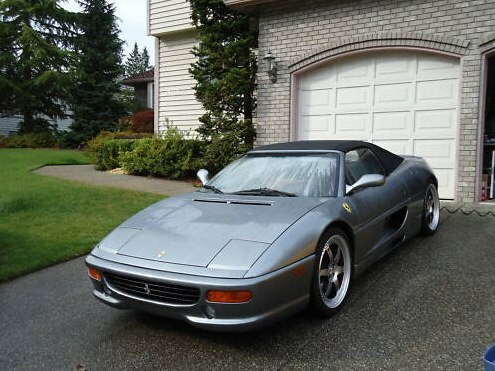 Here’s a link to the auction if you want to see it live: 1999 Ferrari 355 Spyder . I promise to start adding in other bargains I’m finding, other than just Ferraris. This is just too much though. The market for the 360 is softening nicely for those of us who want a “late model” Ferrari at bargain basement prices. 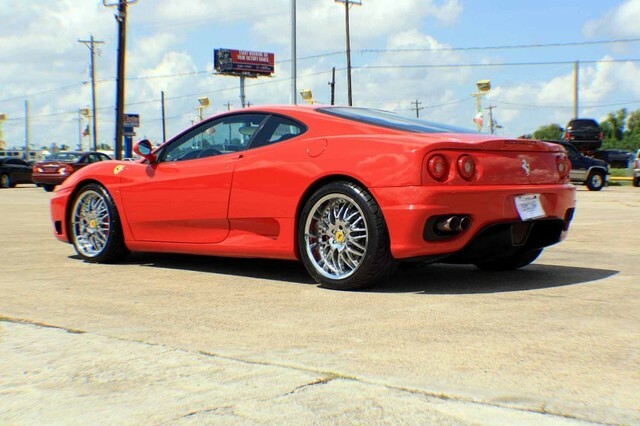 This is a 2001 Ferrari 360 Modena. Red with tan interior and only 23k miles on the odometer. Looks like it’s in great condition and up to date on service. It’s got the F1 Transmission as well. Sweet! 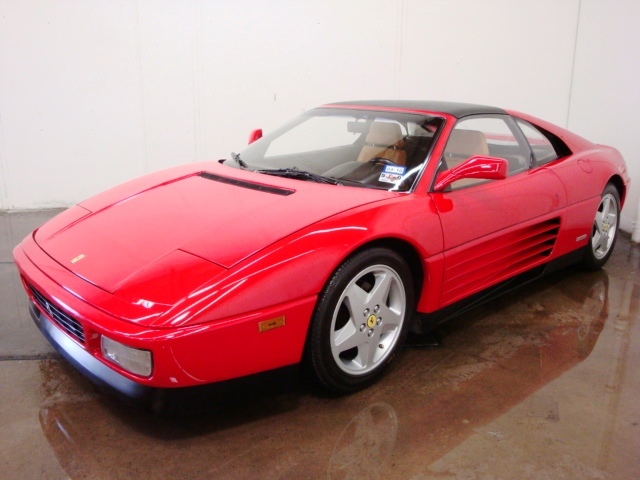 CAR IS IN EXCELLENT CONDITION AS IT HAS JUST HAD 30K IN SERVICE BY FERRARI OF HOUSTON….PLEASE CALL FOR DETAILS. It’s up for auction on eBay with no reserve and is at $62,400. 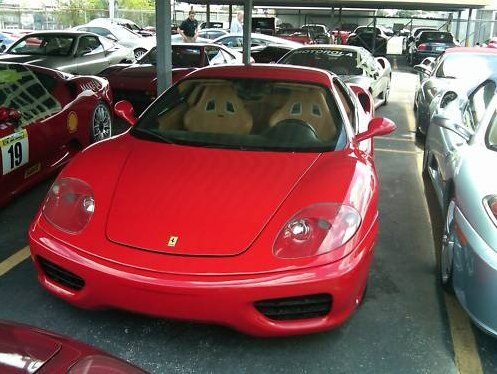 Here’s a link to the auction page: Ferrari 360 Modena . I love the Ferrari 355. One of my favorite Ferrari 355 movie moments is when Nicolas Cage is chasing down Sean Connery in “The Rock”. Great scene. 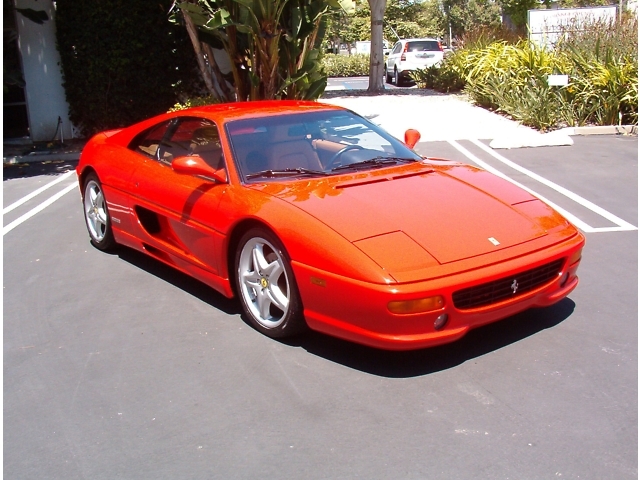 I am selling my beautiful Ferrari F355 because I have an F430 and other cars and need to liquidate for another acquisition. It runs great with excellent body and interior condition. All sticky parts have been replaced and look like new. New factory manifolds and clutch were replaced around 30K miles. Minor accident with prior owner, but other than a few minor cosmetic scratches, there is no body damage. All service records with local Ferrari mechanic and full inspection done by local dealer. Here’s both a benefit and a drawback. The car is located in Hawaii. Sure you’ll have to ship it, but you may be able to pick it up for less money since the market for the car in Hawaii will likely be softer. No reserve on the auction and it’s at $35,500 last time I checked. A great step into a modern day Ferrari at a great price. 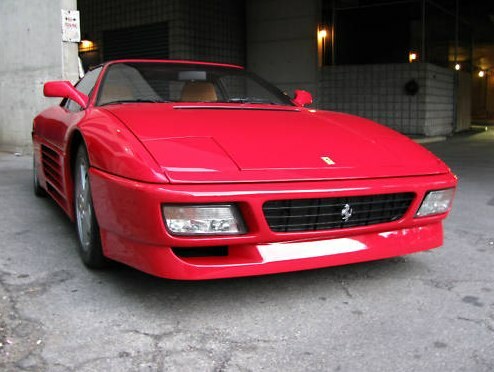 This time it’s a 1990 Ferrari 348 TS. Perfect color combo of red exterior with tan interior. Looks to be a in great shape with some nice mods like Tubi exhaust and the bottom trim painted to match the car. It’s in Canada, but bringing it in to the U.S. shouldn’t be that big of a deal if you use a reputable importer. Auction is at just under $23k right now with only about an hour to go. 1990 Ferrari 348 TS euro spec VIN: ZFFFA36S000086023. First delivered July 1990 in Switzerland and imported from Geneva in May 2005. Currently has under 54kms. Full engine out service and tubi exhaust installed when purchased 5 years ago. Has had the front and rear bumpers professionally painted (stone chips) and they are in great shape (only a few marks on the front bumper). Recent tires, always garage stored, never driven in the rain. The car is tight and nimble, starts up right away, pulls hard. The A/C, HVAC controls work flawlessly (known issue on some cars), no dents, dash in great shape, no vibrations at highway speeds, brakes straight and without any pulsations. Has an aftermarket immobilizer (works great) and battery disconnect. This is an excellent example of a clean, solid, unmolested 348. Here’s a link to the eBay auction: 1990 Ferrari 348 TS . I can’t believe how much this particular Ferrari model has come down in price over the last year and a half. When I started really watching prices about two years ago, you couldn’t find anything under $100k. Now they’re going for $80k all day long. Sure it’s a Euro spec model, but at that price, who cares?! As long as it has legit paperwork for the conversion to U.S. standards. Crazy they’re offering it at only $59,850. I bet you could offer $55k, maybe even less and take this bad boy home. Here’s a link to the eBay auction: Ferrari 360 Modena .